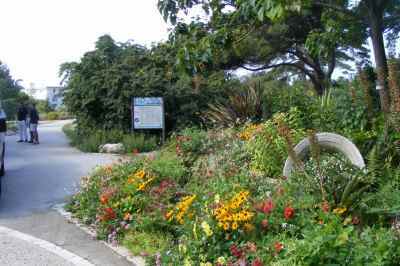 The Franck Delmas Park was created thanks to a legacy from the family of ship owners Delmas and further acquisition by the City of La Rochelle in 1964. The Park can be reached from the town centre, leaving the city fortifications to the west, along a walking path worthy for its variety of landscapes, including a wide panorama on the sea-side and valuable green density. 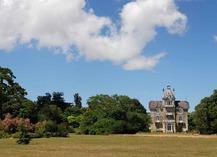 Protected behind its gates, the Parc Franck Delmas is open daily to the public : the visitors will find a park of English fashion, covering 7 hectares, and whose original style (end of XIX century) has been preserved when it was restored after the storm of 1999. 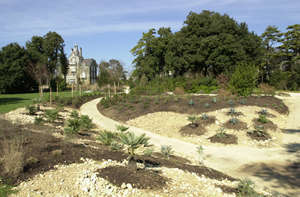 Already very well provided with holm-oaks and pine-trees, the Park was later endowed with a collection of conifers adapted to the local constraints (spindrifts, limestone, dryness); its afforestation integrated a plant-range that can be seen in antic Mediterranean gardens; and was also punctually enriched with plants brought back by botanists-travellers along the centuries, namely in ship owners' gardens. Therefore the visitor will discover fruit trees, Mediterranean low sparse vegetation as well as palm trees, all coherently associated, thus creating legible landscapes without excessive artificial sophistication. Every day : from 8 am to 8 pm in summer. from 8 am to 7 pm in winter. 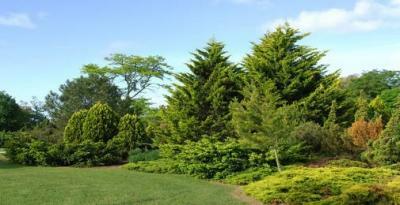 Marriage photos, Children's playground, Sandbox, Lawns for sunbathing, Dog admitted if kept on a lead.